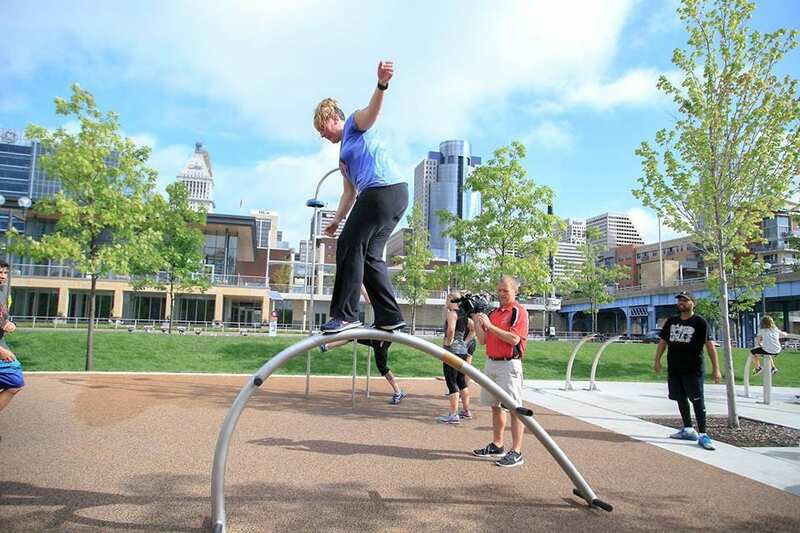 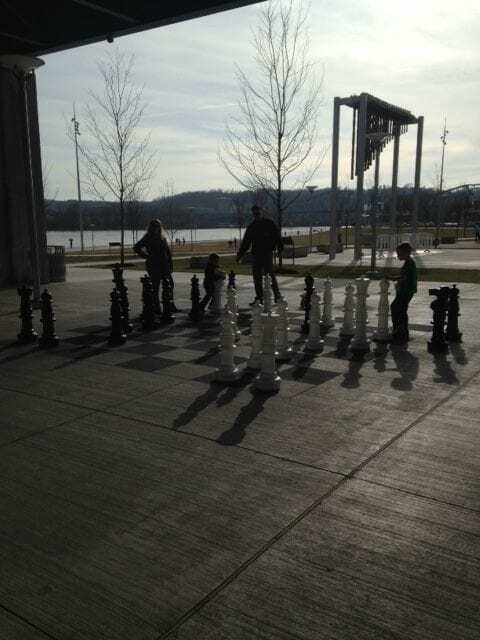 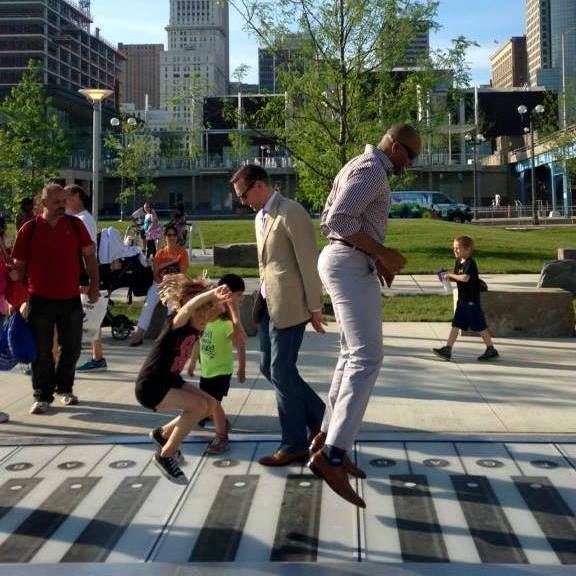 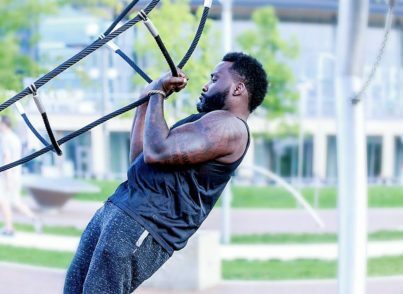 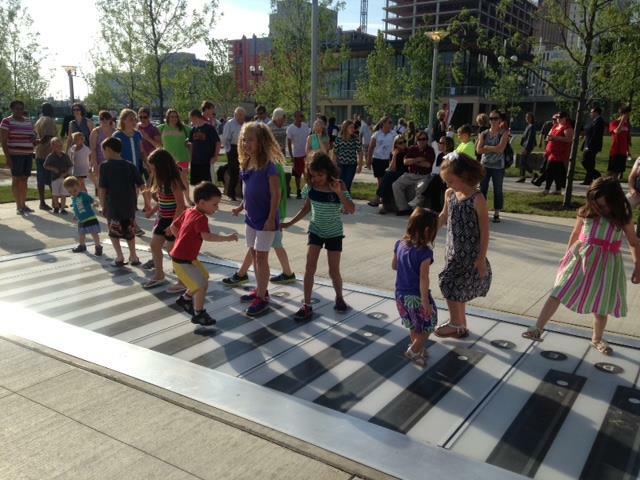 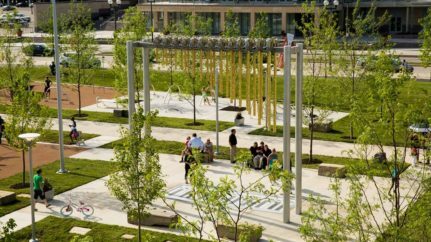 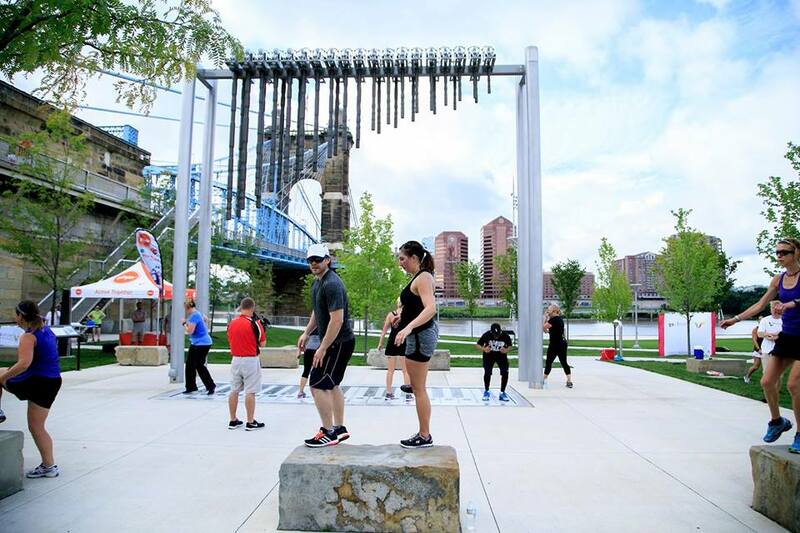 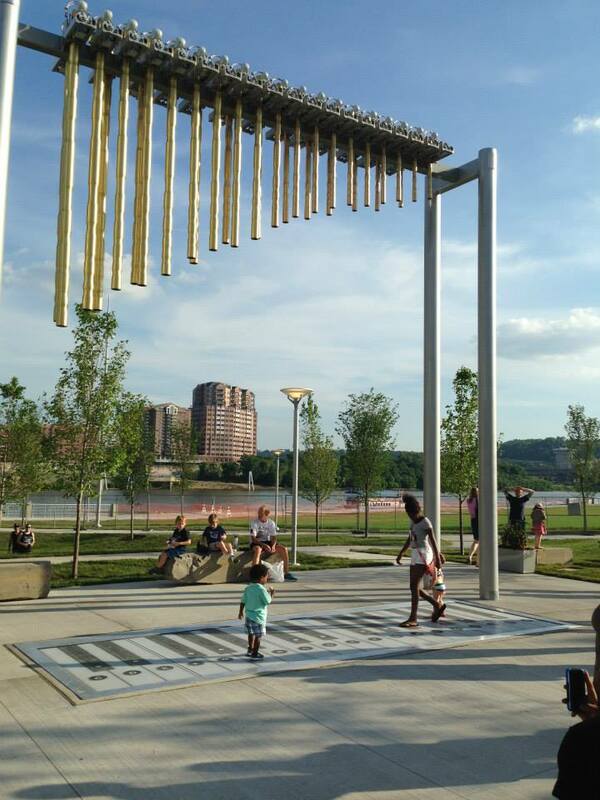 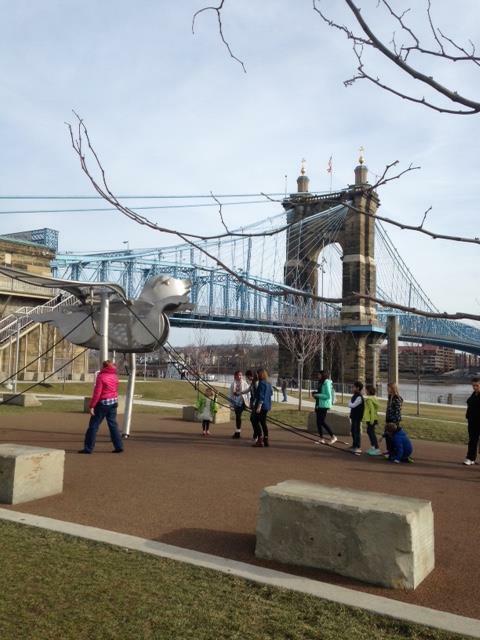 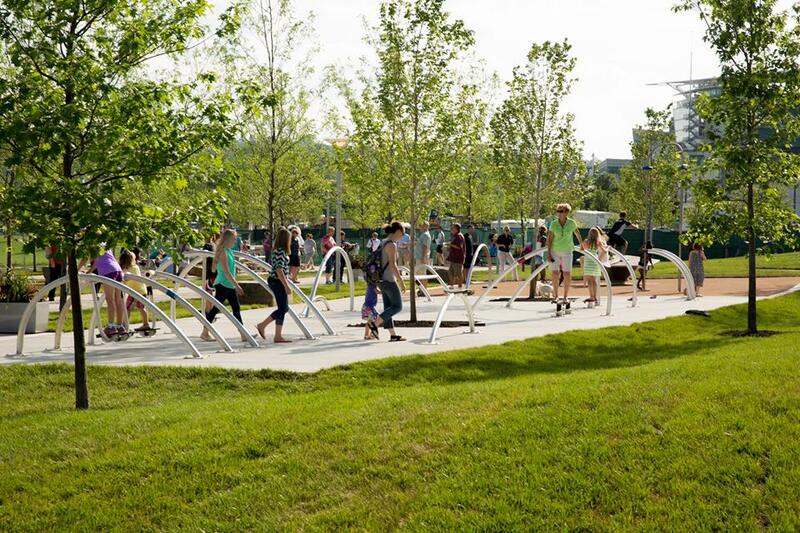 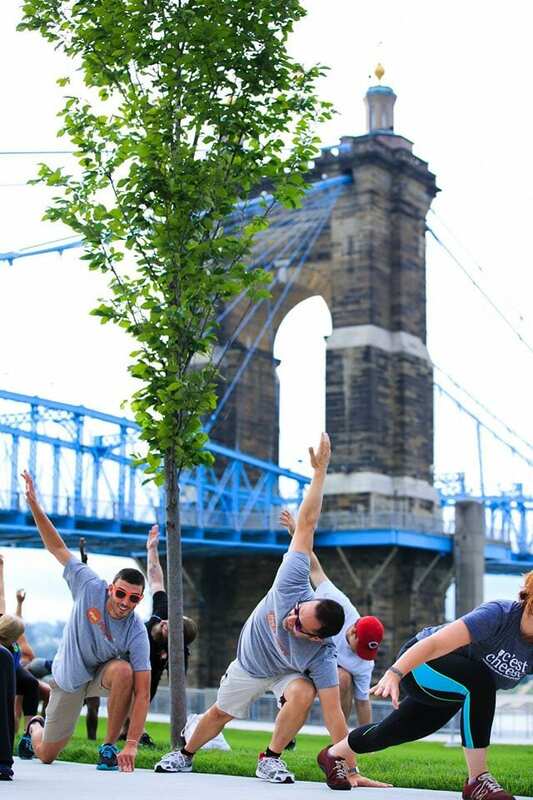 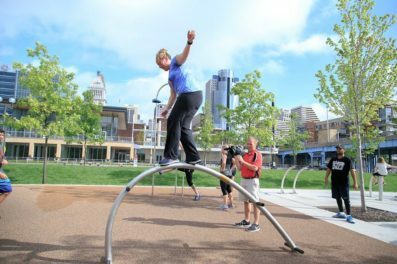 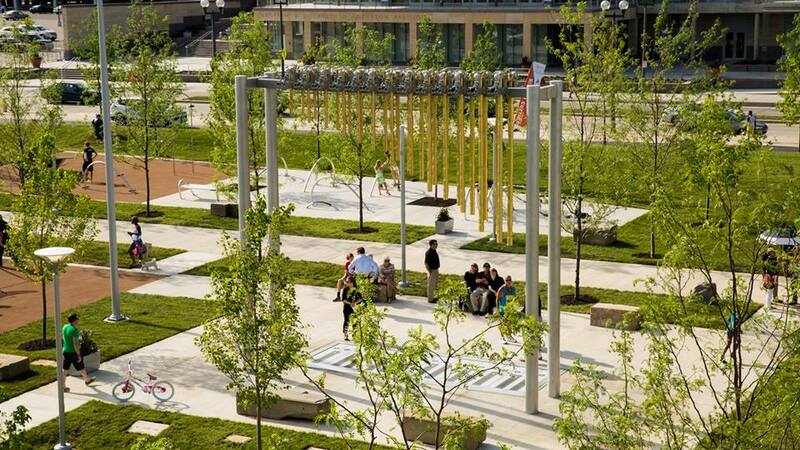 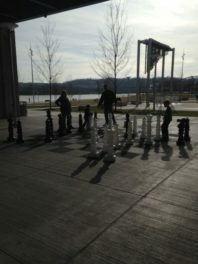 go Vibrant’s biggest initiative was the launch of the P&G go Vibrantscape at Smale Riverfront Park – a 4.5 acre interactive park where human movement causes things to happen. It includes the world’s largest outdoor foot piano (ala the movie Big), a flying pig that you need to climb up into (not without effort) while getting the help of someone else to “fly” it, climbing poles with bells on the top, outdoor exercise equipment, an outdoor chess set, and an interactive water feature. 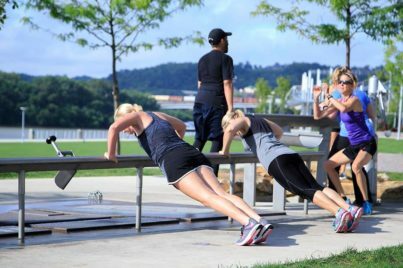 It all helps to make activity irresistible! 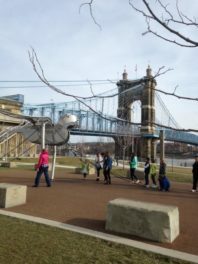 © 2018 go Vibrant | All Rights Reserved.